This elusive brownie is finally, finally a reality. I began the search for the perfect brownie a little over three years ago. 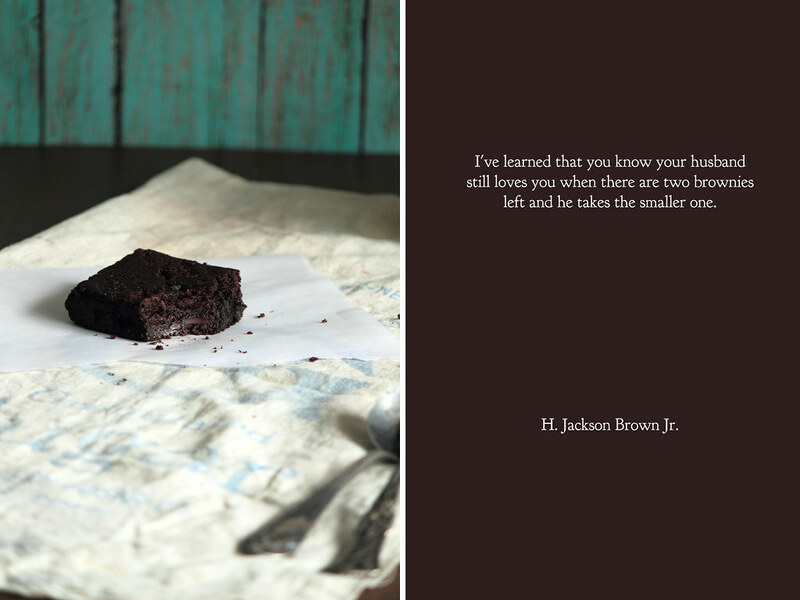 Born and bred on the box mix brownie, it became my goal to find a homemade brownie to rival the rich chocolate tone and chewy texture of the powdered mix. It seemed an easy enough task at the time, but as time passed—and batch after batch didn’t meet my expectations—the challenge became more than I bargained. There were great brownies along the way, alternating between dense and fudgy and light and cakey, but they were not the box mix brownie I so coveted. The search continued. I stumbled across this particular recipe on accident. I would like to say that, after making dozens of batches, intuition guided me here, but sometimes kitchen accidents lead to the best surprises. Playing around with my recipe for brownie cookies one tired morning, I messed up the math when doubling the recipe and realized the ratios were off halfway through. What was another failed batch? 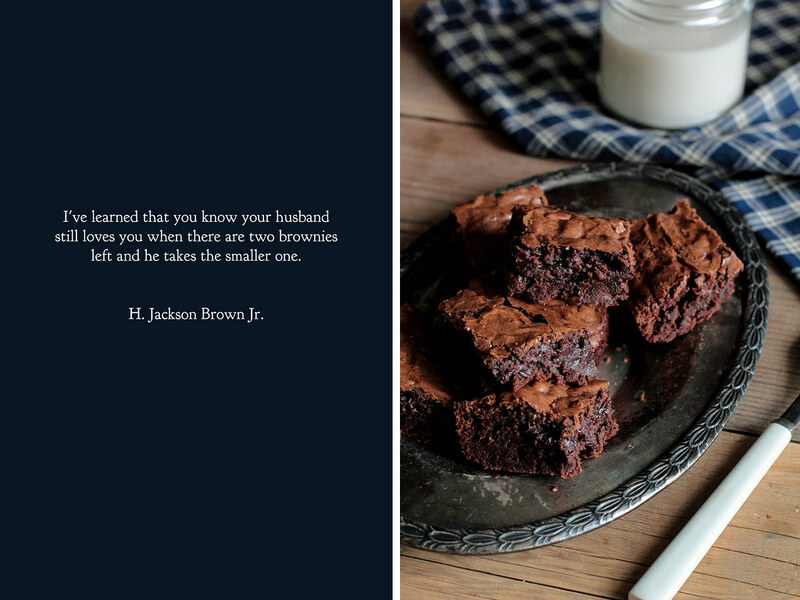 I thought, and baked up the brownies anyway. When they came out of the oven with a crackly top (something I have never been able to achieve with a brownie before), I knew that these might be something special. I made these brownies three more times afterwards, verifying that the recipe was as consistent and delicious each and every time. Over the course of my brownie search, I discovered the “right” ingredients to lead me to these brownies. Brown sugar is what truly gives a brownie the chewy texture you know and love—and these brownies are certainly chewy. However, it is the addition of a few tablespoons of granulated sugar which gives the brownie its crackled top. When baking, the granulated sugar forms a thin layer on the top, crystallizing and eventually cracking to give it that covered layer. 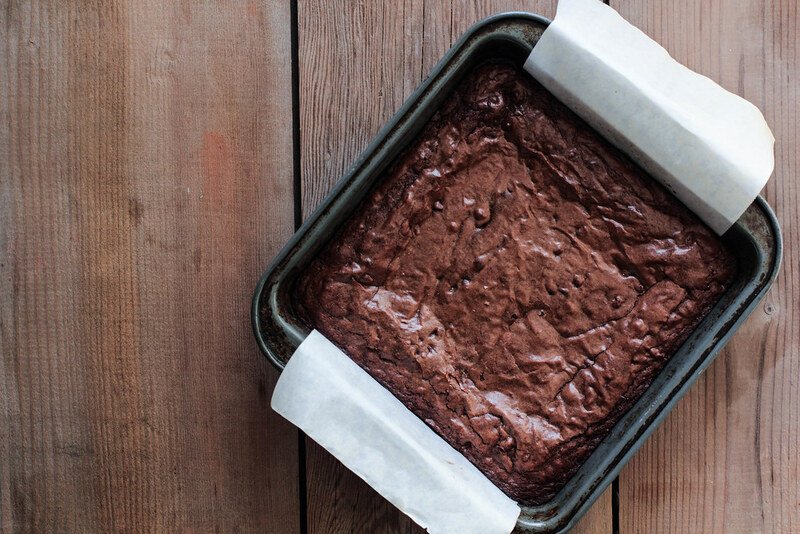 Oil tends to give brownies a more “rubbery” texture versus the clean finish produced by melted butter. In terms of the chocolate, this is where you can customize the brownie more to your taste. 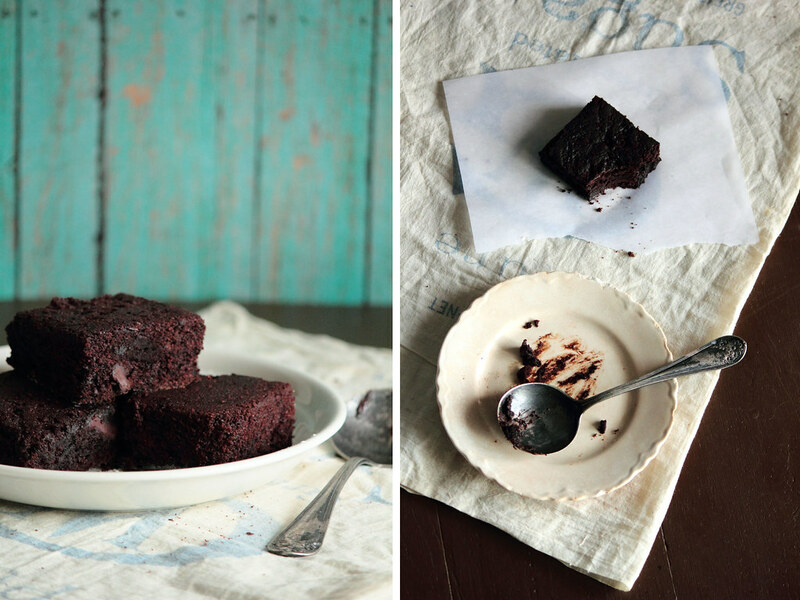 For a richer, less sweet brownie, use dark or bittersweet chocolate. 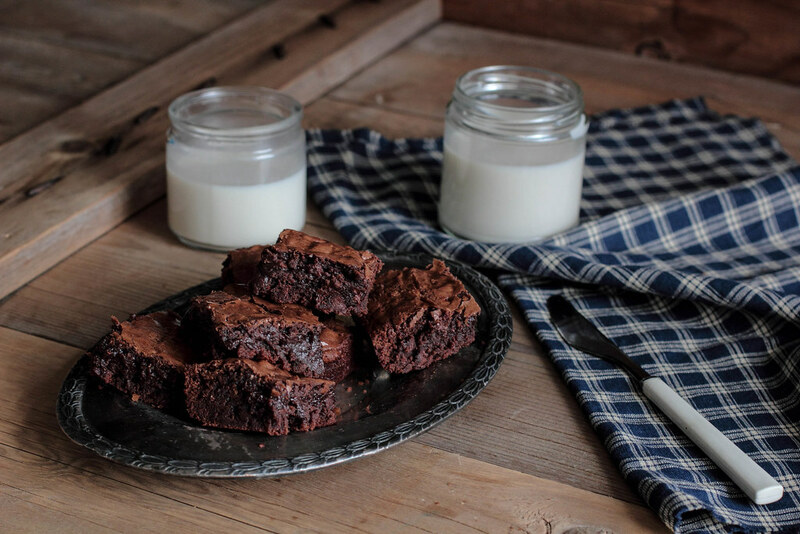 For a sweeter brownie, use a semi-sweet or milk chocolate. The choice is all yours. 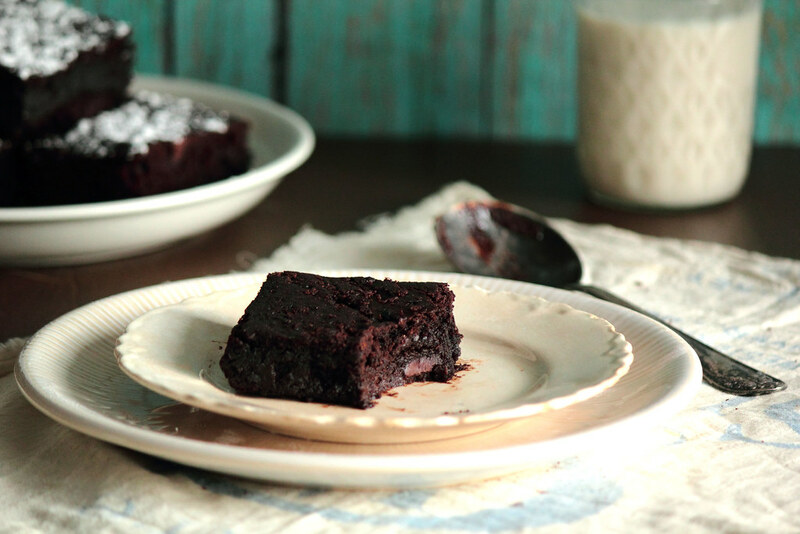 And so, dear reader, this Double Chocolate Brownie recipe is yours. 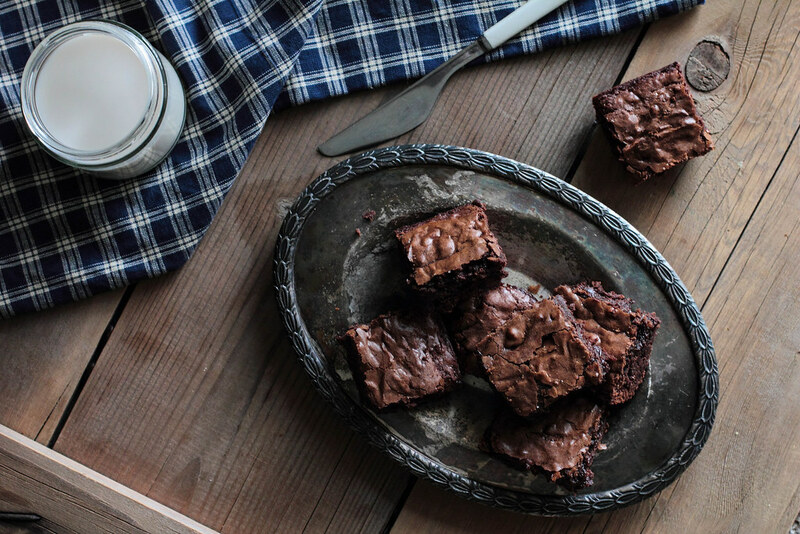 The brownies are chewy, dense, and, most importantly, full of a rich chocolate flavor. As three of my taste testers separately told me, These taste like box mix brownies, only better! I hope you will feel the same. The search for the perfect brownie has finally come to a delicious end. Every month or so, the irresistible urge to make a pan of brownies creeps into my mind. Often only a day or two passes before the craving turns into a reality. Despite my regular hunger for brownies, I have yet to create a brownie that suits my tastes. Each month I try out a new recipe, finding myself discouraged by the rubbery texture or the lack of chewiness. I have tried the most popular recipes, from names both big and small, only to find disappointment in the pan that emerges from the oven. Three years and two dozen batches later, I'm still looking for the one. The dirty truth is that I love box mix brownies. I love the crackled top, the chewy texture, and the dense nature of the bars. 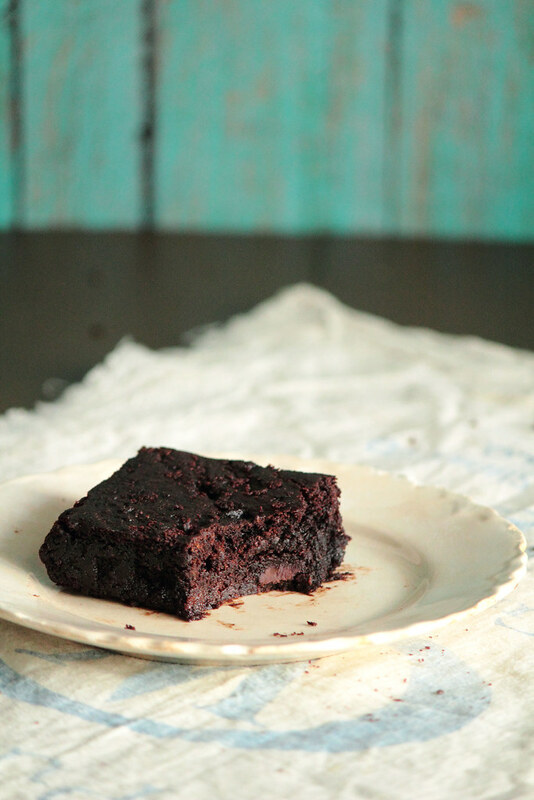 I love box mix brownies so much that I feel that the homemade version pales in comparison. As a baker, I feel somewhat ashamed to admit these truths, to admit that I cannot match the box when it comes to this criteria (though it isn't for a lack of trying). Every so often, I sneak a box mix into my red basket at the market, feeling deliciously guilty about my purchase. When the obligatory brownie craving struck this month, I searched around for another recipe to try. After so many disappointments, I have become wary of homemade brownies, especially those making bold claims of box mix similarities. When my search came up empty handed, I decided to try something completely different. A cookie. And, surprisingly, it worked. 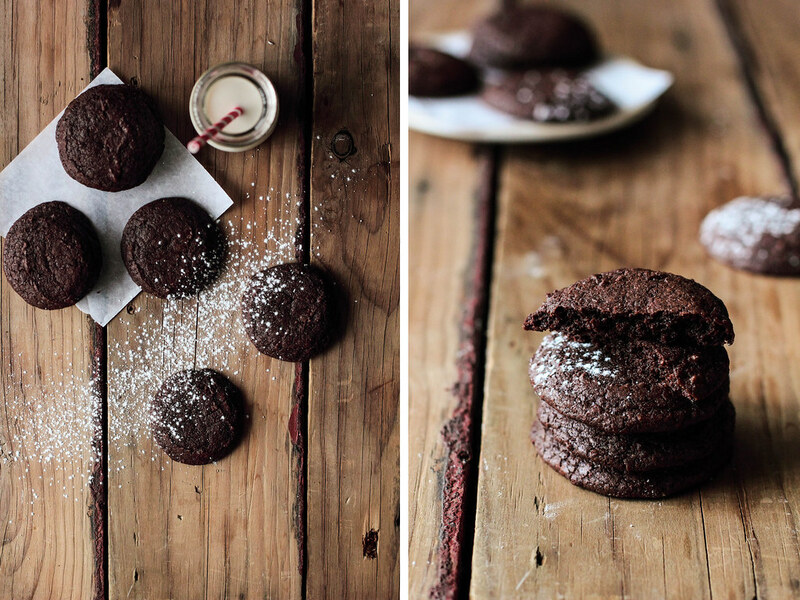 These cookies are the closest I have ever come to the perfect brownie. 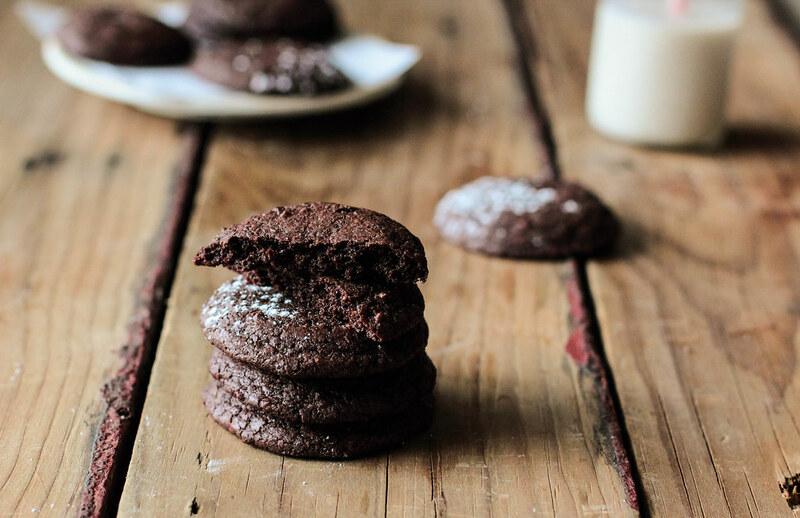 Dense and endlessly chewy, a handful of cookies disappeared before they completely cooled. Though they may be missing the classic crackled top, I can assure you that it won't be missed. 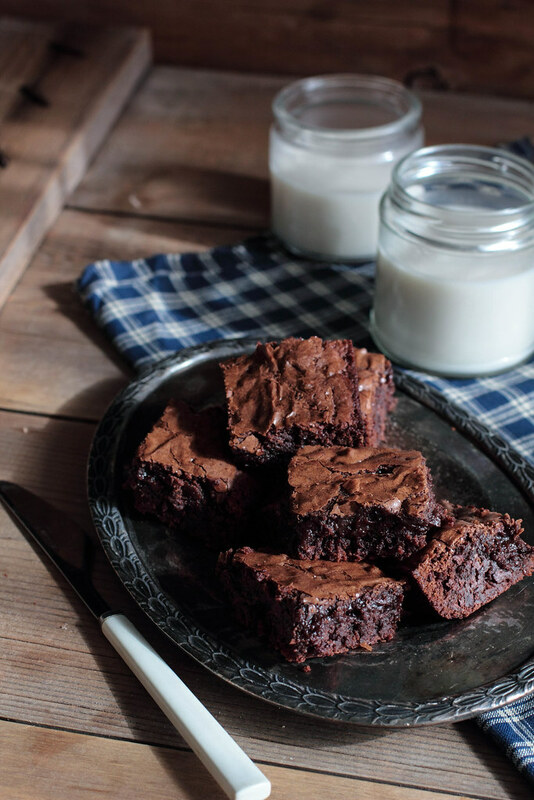 If you are a box mix brownie lover like me, I know you'll love these, too. 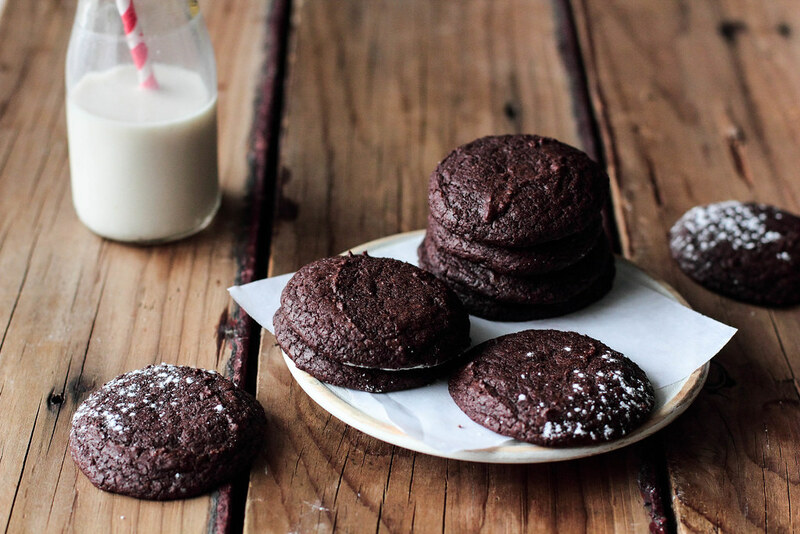 Brownie Cookies take the classic pan of brownies and turn them into individual servings. 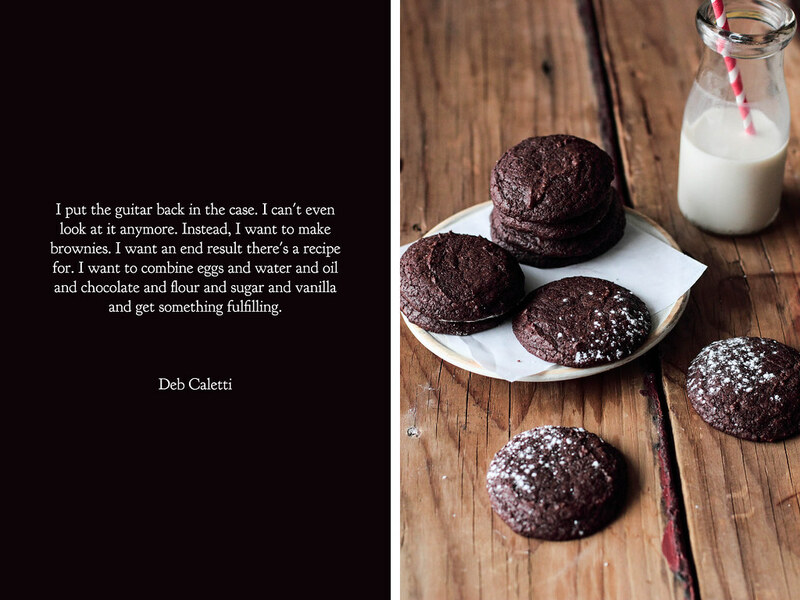 The cookies are made with both melted chocolate and chocolate chips, which lend a deep, satisfying flavor. 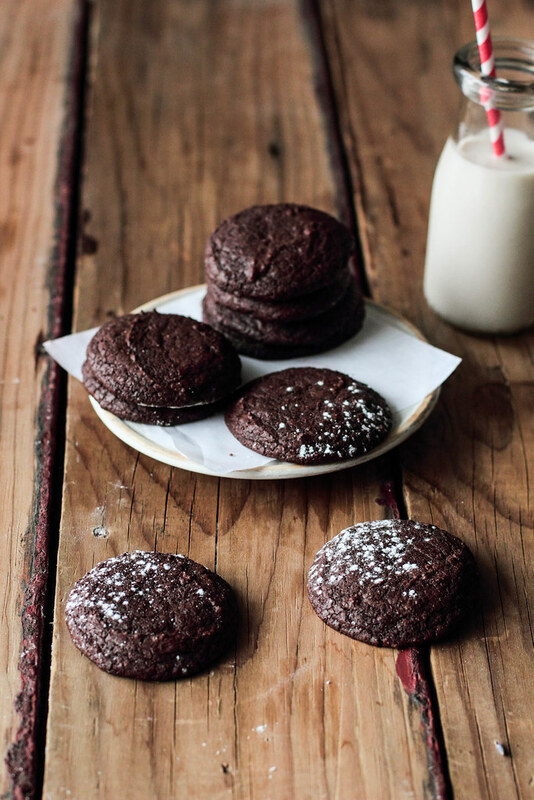 Brown sugar makes the cookies undeniably chewy—a feature I look for in all of my brownies. The cookies are so good warm and straight out of the oven that they may not survive to see the next day.